At Habitat for Humanity, Corporate Partnerships help us fight poverty, build thriving communities, and empower people around the world. Without the support of our donors and volunteers, we just could not continue to build homes. Simply put, your donation can make a life changing difference to children and families living in poverty. It might be hard to believe, but it costs just €3,500 to construct a 3 room home for an orphaned and vulnerable child and their family/caregiver in Zambia. Zambia is just one of 70 countries we work in. Find out more about our programmes here and see the difference your company can make by directly supporting our programme work with a donation. We are more than happy to speak or present at your next committee meeting and tell you all about our work and how you might like to get involved. We’re full of ideas and new initiatives, so please give us the opportunity to let you know all about them. Download more information about Habitat for Humanity here. Have you ever considered attaching your company brand or product to a charitable cause? It can be a great way of reaching a new audience, improving your profit line, while also raising vital funds for a good cause. If you would like to explore this idea further or maybe you already have something in mind, then we would be delighted to hear from you! Why not try something different? 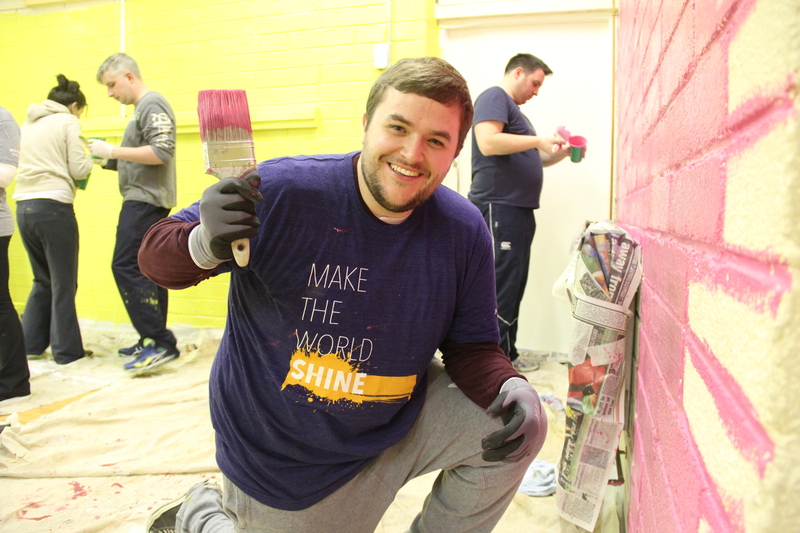 Away from day-to-day routine, corporate teams are given a chance to roll up their sleeves, get their hands dirty and build a better future for those in need, while working alongside a global leader in tackling poverty housing. We have many opportunities for you to get involved, whether it’s volunteering here in Ireland or volunteering overseas on one of our international volunteer programmes. I found the whole experience really rewarding and it was great to work on something so tangible knowing that a local family’s life was going to improve dramatically as a result of the project. It was also a great opportunity to meet other people in Vodafone who I don’t normally work with. To date we have successfully partnered with over 100 multinational and local companies, including MetLife, Goldman Sachs, Whirlpool, CitiGroup, AIB, Vodafone, Salesforce and Workday, to make a difference on both local and global projects. Enquire now about forming a corporate partnership with Habitat for Humanity Ireland.